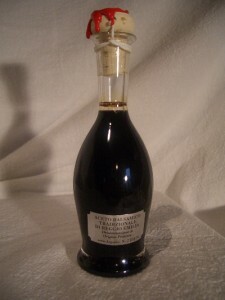 The Aceto Balsamico Tradizionale di Reggio Emilia, Traditional balsamic vinegar of Reggio Emilia must be made with type of grapes provided in the disciplinary, cultivated in Reggio Emilia province. 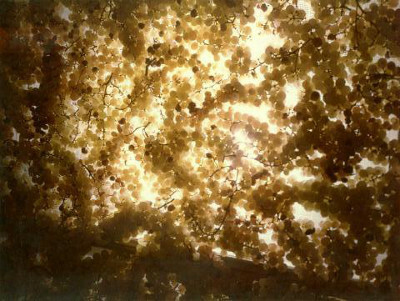 Cavalli uses mainly white Sauvignon grapes. The must has to be softy trodden and has to have at least the 15% of sugar concentration. In order to avoid any fermentation it has to be cooked as soon as possible after being collected. 1) It sterilises the must and it removes any fermantation process. As a matter of fact, the alcoholic fermentation has to start only when the cooked must will be in the barrels. 2) It concentrates under the impact of water evaporation (20/50 liters are lost). the sugar quantity contained (around 33%) and it gives to the yeasts plentiful nourishment. These yeasts belong to the”saccaromyces” genre and by transforming sugar in alcohol they produce a plentiful nourishment to the bacteria acetica, which are responsable about the alcohol transformation in acetic acid. 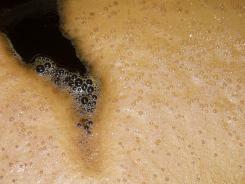 Slow cooking must lasts from 10 to 12 hours to avoid sugar over concentration which should create problems in the first alcoholic fermentation and in the following acetic oxidation and, at the end, much more dangerous, it should crystallize the glucose in the concentration step due to the water evaporation. 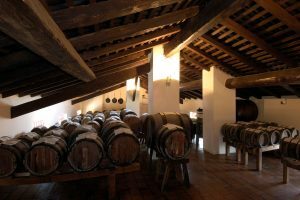 In other word, during the long ageing in the barrels, the fragile balance between sugar and acidity would be modified (with the risk is that the glucose could overcomes the fructose) and that could cause the total or partial crystallization of Balsamic vinegar. Furthermore, the vinegar maker (il Mastro Acetaio) has to pay extremely attention during the cooking of the must, avoiding burning smell or flavor (strinato flavor). In case this thing happens, he has to throw away all the must. Preparation of raw material for production traditional balsamic vnegar: grape harvest, soft pressing, light boiling. After being cooked the must has to be left to cool and then it starts the alcoholic fermentation, with possibly aid of selected yeasts. At the end of this process the composition of must will be: 20-24% of sugar and 6-7% of alcohol. During the winter season the must is left to rest in order to settle. 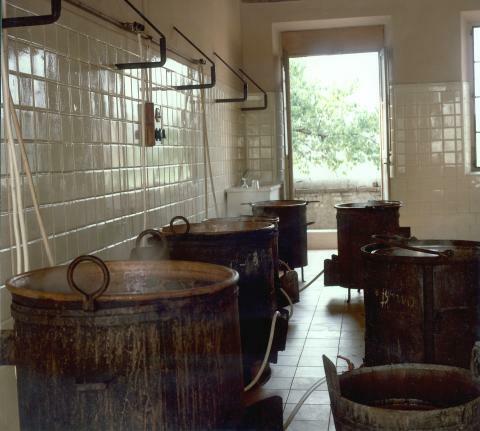 During the next summer the fermented must is necessary for the “botte madre or badessa” (mother barrel) that is the bigger barrel where the bacteria-acetica are always active. Those bacteria are nourished with the fermented cooked must. The alcohol in the must is transformed into acetic acid. Since acetification process needs a lot of oxigen the best place to put the barrels is rooms with a good natural ventilation. After the acetification in the “botte madre” the acetified must is ready to top off the “batteria” where the refining and ageing of Traditional Balsamic Vinegar take place. The disciplinary imposes a minimum period of ageing of twelve years. 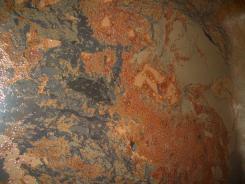 In the Cavalli acetaia there are many rooms where many different size barrels have been set. The batterie are arranged in small pedestals in the floor or on staging: the best place has always been the attic where there is a good seasonal temperature range. Giovanni Cavalli dedicates great passion to the research of the barrels (the older one are the most valued), and to their disposal in batteria (from 5 to 9 barrels in each batteria) and to different woods that give to balsamic vinegar his special flavor. Juniper, it expresses the strong aroma of the resinous wood. The number of barrels, their capacities and sequence are decided by theMastro Acetaio Giovanni Cavalli who relies on his experience, competence and intuition. An exemple of a classic batteria is formed by 5 different wood barrels, from 60 to 10-15 liters, which are arranged on a dedicate pedestal. 13th YEAR: the 20% of the vinegar is taken from the smaller barrel for the first time since the start up of the production that is about 3 liters of Aceto Balsamico Tradizionale di Reggio Emilia. Nowadays there are batterie more than hundred years old. Some of the product in the smaller barrel could belong to the families grandparents or to the great grandparents. When a vinegar is said to be 60-70 or 100 years old, that affirmation can not be true because it is impossible to establish it for certain. 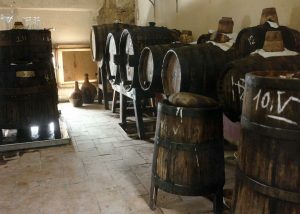 It’s possible to say that the production started 60-70-100 years ago and certainly it is true that it will be a very old and excellent quality balsamic vinegar. 3) Traditional method of working: natural environment which entails seasonal temperature variations with rigid winters and hot summers. 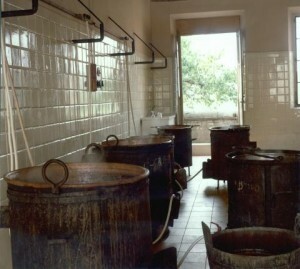 In dedicated rooms of my facility are located several batterie (vinegar barrels of different sizes tended as a unit). In those rooms, started from attic, there are about 200 batterie, each formed of 5-9 barrels. 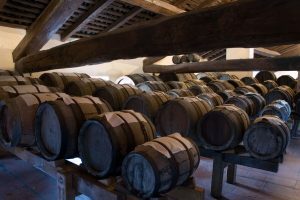 I pay a lot of attention to respect biologic steps in the raw material: alcoholic fermentation of cooked must, the first acetic fermentation, and then successive refined in the oak and chestnut barells.The successive ageing occurs in thebatterie with barrels of cherry, juniper, oak, chestnut and mulberry. 4) Chemical caractheristic: each batch is checked for density (min 1,20 g/l) and acidity (min 5%). My products have a density of about 1,32 (for refined products – in the past silver label) and about 1,35 (for extravecchio product – in the past gold label) and an acidity of about 6-6,5%. A good acidity is indispensable to stand out the very flavour of balsamic vinegar and exalt the use in the kitchen. 5) Organoleptique caractheristic: each batch is tasted by the master tasters and qualified if without defect and if has the tipical balsamiche caractheristics. In my acetaiathere are a lot of very old barrels, in particular of juniper, some of these from the 19 century. They took care by cav. Ferdinando and now continue to work and give aromas and flavours to my product. Wax seal: it must have the words “DOP ABTRE”. Shape of bottle: like tulip overturned. Exclusive shape and the only allowed for Traditional balsamic vinegar of Reggio Emilia PDO. The glass is smooth and transparent. From January 1st, 2014 each bottle have to be identify by progressive rectangular colored (silver or gold) label with progressive number. See the silver label on the bottle.